Is a Custom Professional Carpet Cleaning and Maintenance Program Right for Me? 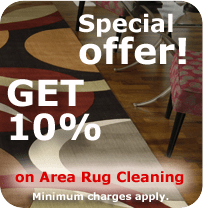 Every day, different kinds of dirt gets trapped in your carpet’s fibers, and they usually can’t be removed with just a simple DIY cleaning or everyday vacuum cleaner, especially if you own one of those luxury carpets. Experts suggest you have someone come by and do regular professional carpet cleaning instead. The pros use equipment that generates far more heat and vacuum, so it’s guaranteed that they’ll get rid of all the stubborn dirt stains and whatever else has taken up residence in your carpet. Getting a carpet is an investment, and you need to protect that investment by taking proper care of it. But if you’re still not sure professional cleaning is right for you, below are 3 more reasons that are sure to convince you. When you have your carpet professionally cleaned, it’s overall feel and appearance will improve significantly. Carpet fibers become matted, making everything look rough, flat, and worn thanks to the build-up of dust and dirt. Professional carpet cleaning and maintenance, helps you prevent dust and dirt from damaging the fibers, making them look better and softer for longer. Carpets are considered a favorite breeding ground not only for dust particles but also for allergens and bacteria. If there’s someone in your household who is prone to respiratory issues – particularly children and older people – airborne particles found in dirty carpets can worsen their condition. These contaminants can result in all sorts of health problems, not just breathing problems, that can be brought on by allergies and asthma. While vacuuming on your own helps lessen dirt, bacteria, and dust mites, it does not fully eliminate these things. They can accumulate over time, after all – perhaps faster than you can clean your carpet in a month – and increase your risk of health problems in the long run. Did you know that dirty carpeting can actually affect your indoor airflow at home? As the carpet gets clogged with dirt and debris, the airflow can become compromised. This happens particularly along the walls, just where indoor air needs to move around the most. The rooms inside your home are more likely to become stuffy once the carpet gets too covered with dust. A simple vacuum would help, but it’s won’t be enough to get rid of all the dirt. That’s why you need regular professional cleaning as well, because with professionally-cleaned carpets, your home will have a better quality of air as well as air flow indoors. It’s true that caring for your carpet requires money, time, and effort – sometimes more than you might be willing to put in at the time. But it’ll all be worth it once you start to see the benefits for yourself. Make no mistake, it’s a good idea to clean your carpet yourself when you can get to it, to keep the dirt from really building up, but professional carpet cleaning will help you achieve more than what you could do on your own, while also helping you keep everyone in your home healthy and happy.